Most people have tightness or soreness in their jaw from time to time. These symptoms usually go away within several days and are not cause for alarm. But sometimes, the pain can become so intense that biting, chewing and even breathing is very difficult. When a child has symptoms like these, they are likely to have developed a TMJ disorder. If you're searching for a family dentist in Charlotte, NC, contact Hockaday & Baucom DDS. Here's everything you need to know about TMJ disorders. A TMJ disorder is a medical problem related to the temporomandibular joint, which is a hinge that connects your jaw to the temporal bones of your skull. A TMJ disorder can cause pain in the neck, face, head or jaw; clicking or popping sounds when closing and opening the mouth; problems biting or chewing; and a jaw that can be locked shut or locked open. 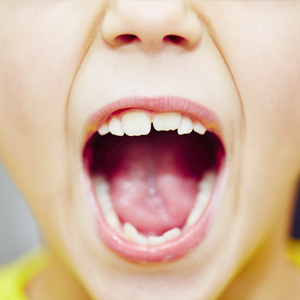 TMJ disorders can affect children of any age, but are much more common in teenagers. A punch to the jaw or impact in a car accident can damage the cartilage disc of the joint, break the jawbone or cause dislocation of the TMJ. Bruxism (teeth grinding or jaw clenching) can trigger a TMJ disorder. Bruxism overworks the TMJ, which can cause a disc in the joint to move out of place or wear down. Stress is also thought to be a factor in developing this disorder. Strenuous physical tasks can aggravate the pain by causing overuse of jaw muscles. Our family dentists in Charlotte will examine your child and take x-rays so they can view your child's jaw, temporomandibular joints and teeth. The dentists may need to do other tests, like computer tomography or magnetic resonance imaging to confirm a TMJ disorder. The earlier a TMJ disorder is diagnosed and treated, the better. Successful treatment of TMJ requires case-by-case judgment, careful diagnosis, and a well-defined treatment plan. Examples of reversible TMJ treatments include: medications, jaw stretching and relaxation exercises, and stabilization splints. Examples of irreversible TMJ treatments include: adjustment of the bite by grinding the teeth, extensive dental work, mandibular repositioning splints, orthodontics and surgical procedures. If you or your child has symptoms of a TMJ disorder, call Hockaday & Baucom DDS in Charlotte, NC at (704) 553-2348 to schedule an appointment. Our dental team is committed to providing you and your family with the best treatments possible.